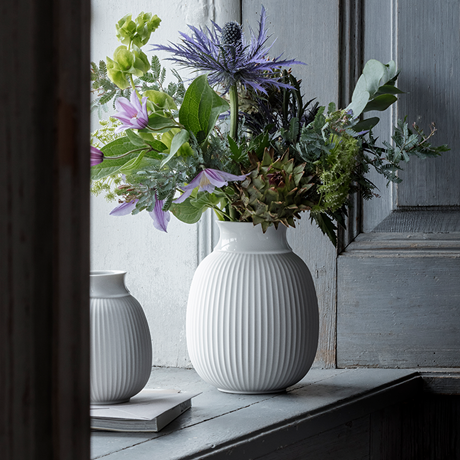 Lyngby Curve is inspired by the classic grooved Lyngby vase. 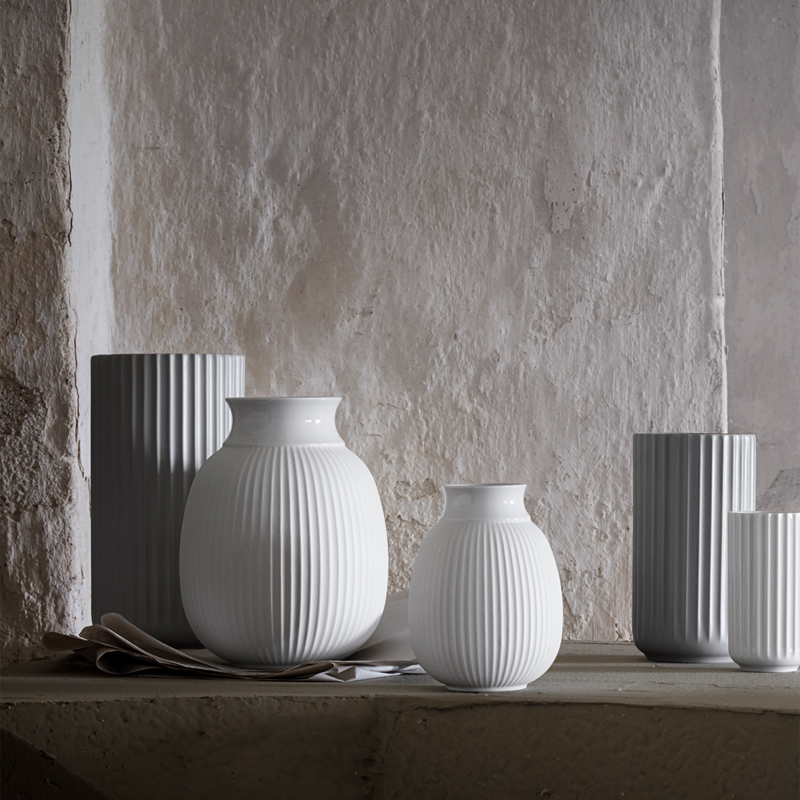 The vase sports a new shape inspired by Form 150-2 from Lyngby Porcelæn design archive. 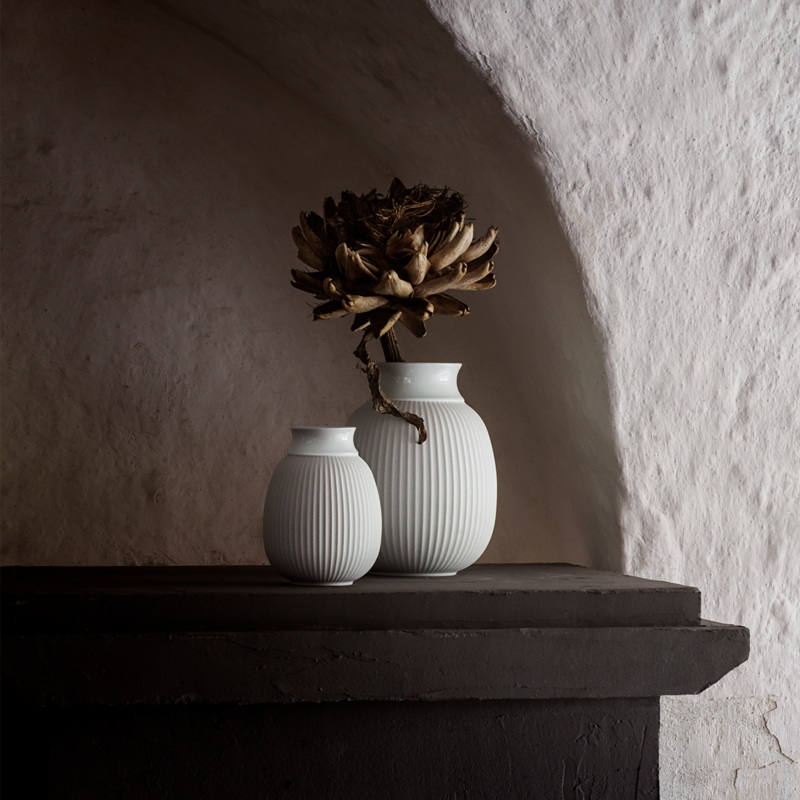 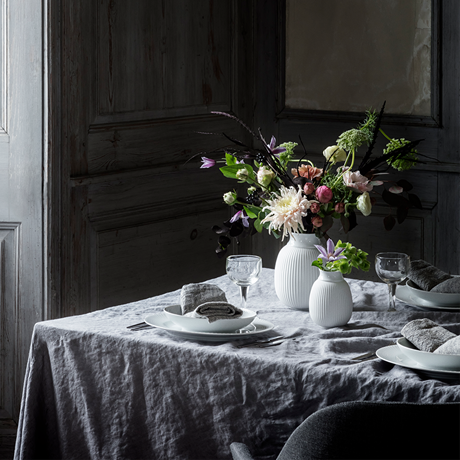 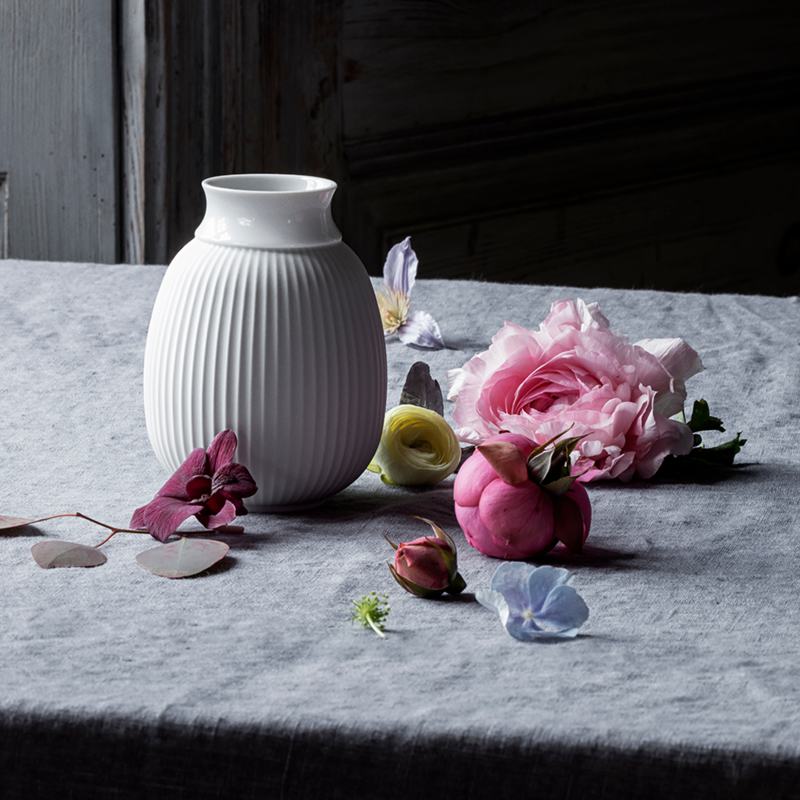 Lyngby Curve measures 12.5 cm and has an attractive glossy collar, equally suitable for delicate stems or tied bouquets. 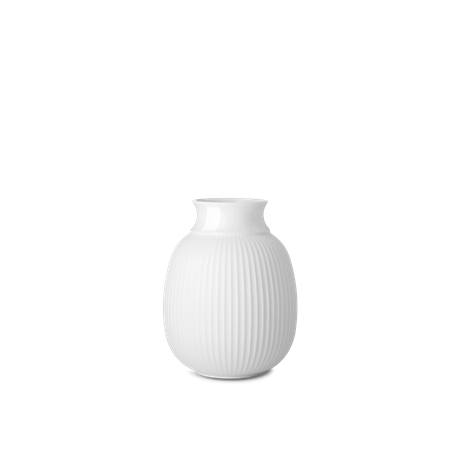 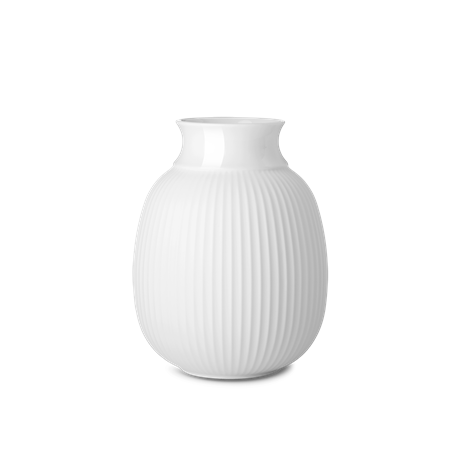 The lower part of the vase is round and has retained the characteristic grooves, which are matte and unglazed here. The vase breathes new life into the familiar grooves by Lyngby Porcelæn.